The Surface Pro 2 handles the game just fine, although the small high-DPI display takes some getting used to, and the keyboard has a tendency to treat the “w” key as a toggle (only in this sort of game; some firmware limitation on really long keypresses, I suppose). I still have the Asus gaming laptop I bought a few years ago, and while it’s not an everyday portable, it’s ideal for our weekend food/gaming parties. However, when I transferred the updated client over and started playing, I was reminded that load times exist. Asus shipped a nice pair of 7200 RPM drives in it, but everything starts up so slowly compared to the Surface. So I bought a pair of Crucial MX100 512GB SSDs; I could have bought smaller ones, but $190? Sold! They even come with an Acronis license to do the data transfers. Why the Crucial, besides the price? I’ve had a 960GB M500 in my Mac for a year and a half, and it’s been fast and trouble-free. The Amazon ratings agree. The basic four-strand round kumihimo braid, Maru Yottsu, is a quick and easy way to create a strong braid with simple color patterns. It’s not a Japanese invention, however, since pretty much every culture in the world figured out how to braid four strands together shortly after the invention of string (or perhaps before, if they had long hair). It can be done on a rope-making stand, a cardboard disk, a marudai, or just with your hands. Extra credit to the guy who built an oversized marudai out of tires to make a 12-strand climbing rope for Crossfit. I think we’ve found the world’s worst .45 pistols, and the world’s best coffee-makers. My own local cops got an MRAP and 30 M-16s, so those vegetable-pickers better mind their manners! It turns out that Rolling Stone has all the honesty and integrity of Penthouse Letters. Or perhaps less. I hope no one was surprised. My family’s coming to town for Christmas, so I went looking for things to do and places to eat. The most amusing thing to show up was this Freedom Festival, which turned out to be an ad for Diaz Brothers Bail Bonds. The most common sageo (mounting cord) for a katana is a 9-strand braid normally done on the takadai, but instructions for making it on a marudai are here (my own instructions on how to make it on a foam disk are here, in abbreviated form). After a little practice (and the acquisition of a set of 240-gram tama), I made a quite nice one for my primary iaito, using DMC embroidery floss (6x 4-meter strands) to get just the right color combination. It’s extremely quick and easy, especially if you follow Tada-sensei’s pictures and lift two tama at once. As you can see, every strand follows the same ordering in every column, severely limiting the possibilities. In fact, the standard “clockwise from the top” numbering system obscures the regularity a bit; if you numbered the five strands on the right 1-5 from the top, and the four on the left 6-9 from the top, the numbers in the above diagram would all be in order, which quickly became obvious in my 9-color test braid. Viable three-color patterns are even harder to find, and the only three I’ve found that are worth mentioning are 111113322 (double zig-zag), 113323332 (crossing double-zig-zag) and 111223332 (sort-of triple-zig-zag). I’m sure there are others, but my script didn’t do a good job of reducing the search space, leaving me with 674 GIFs to pick through. No, I’m not actually going to include all of them. Not only would that be worse than visiting an endlessly-scrolling Tumblr full of animated GIFs, the vast majority of them are just plain ugly. In addition to the Carey diagram, I’m just going to post six reasonable ones and six random ones, to give you an idea of what’s available. Please stop handing packages over to USPS. Two-day shipping is now four if I’m lucky, on a package that will be completely useless to me soon, since they didn’t even try to deliver on Monday, and then (allegedly) showed up at my office today at 6:04pm and found the front door locked. I have no idea why, but the order of the output of the permute() function in the Perl library Math::Combinatorics depends on the number of elements in @ARGV. This resulted in a rather frustrating debugging session, in which it was assumed that the output was deterministic, and one could reliably shift off the null permutation. Seriously, when the mere act of adding a command-line option that is completely ignored by the program changes the output, your library is kinda fucked. 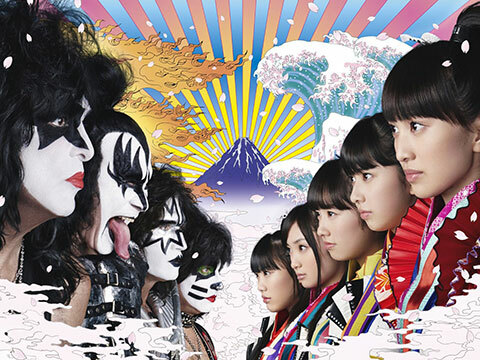 Momoiro Clover Z (yes, them) has collaborated with Kiss (yes, them). 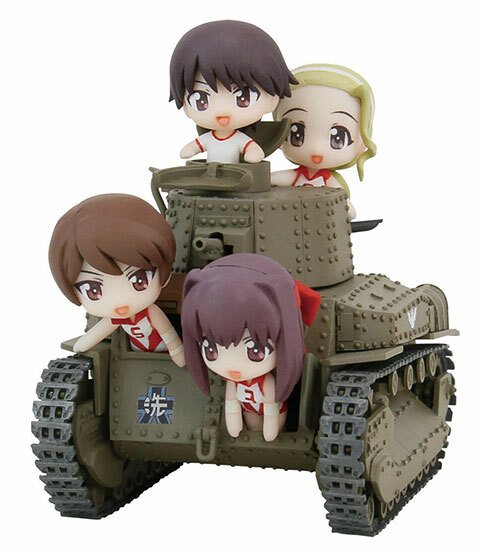 Available on Bluray at the end of January, hopefully only in Japan.